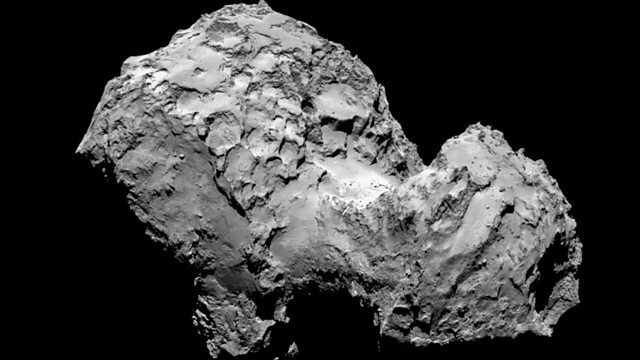 The Rosetta space probe left 2014 on a high note and the mission was coined Science's Breakthrough of the Year. Now a series of seven new papers based on data sent back from the instruments on-board Rosetta has been published in a special issue of Science. This new data pieces together a fascinating picture of what Comet 67P looks like and how it behaves. Dr Stephen Lowry from the University of Kent is part of the team behind one of Rosetta's instruments, ORISIS, and he tells Science in Action what we have learned so far about this comet. Sophisticated manual dexterity and the ability to forcefully grip objects are uniquely human traits, and it was these capabilities that allowed early hominids to make and use tools. However, exactly when human-like hands evolved in our ancestors is a point of contention among paleoanthropologists. Evidence from the fossil record tells us that stone tools do not appear until 2.6 million years ago so there has been an assumption that human-like hands also evolved around this time. Now, however, a new study investigating bone tissue patterns on hand bones of our ancestors challenges that assumption. Dr Tracy Kivell, from the University of Kent and one of the researchers on this paper, explains why. It has been proposed that we are now in a new geological epoch called the Anthropocene, because human activity has changed the ecosystem. Up till this point conditions on Planet Earth had been incredibly stable for about 12,000 years. It was during this period, known as the Holocene, that human civilisation has been able to prosperously thrive. Scientists have now developed the Planetary Boundary Framework, which tries to determine the environmental thresholds that allowed our planet to remain in this uncharacteristically stable state. However, of the nine boundaries, we have apparently already crossed four. Dr Belinda Reyers and Professor Steve Carpenter both worked on this research – they explain what it means to have breached some of these boundaries. In certain parts of the world, wild animals live in close proximity to humans. This is certainly the case for puma populations inhabiting the Santa Cruz Mountains in California. However, relatively little research has looked at the impact of living close to humans on the behavior of pumas. A new study published in the Proceedings of the Royal Society B monitored the hunting patterns of pumas in these mountains. Justine Smith from the University of California, Santa Cruz, led the research and tells Jack Stewart how the pumas’ habits changed in response to their human 'neighbours'. How many planetary boundaries have we crossed?